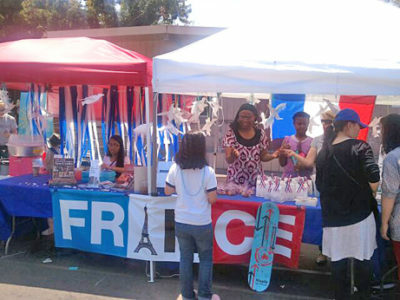 CULTURAL DAY featured games, food and more. 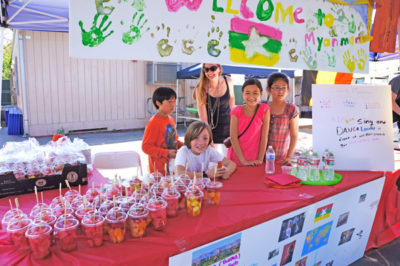 “Welcome to Our World” was the theme for Third Street Elementary School’s 7th annual Cultural Day, held in May. MYANMAR was one of 30 countries represented at booths inspired by cultures from all over the globe. More than 800 students, family and friends attended the all-day affair which featured more than 30 booths inspired by cultures from all over the globe. FIRST GRADER Maxine Hurewitz took first place in a contest to design a logo for the seventh annual Culture Day. She received a $50 gift certificate from Blick Art. Highlights included a visit by Councilman Tom LaBonge as well as a visit by representatives from the Turkish and Chinese consulates. Among performances were Third Street’s traditional Korean drummers and dancers, as well as a martial arts demonstration. 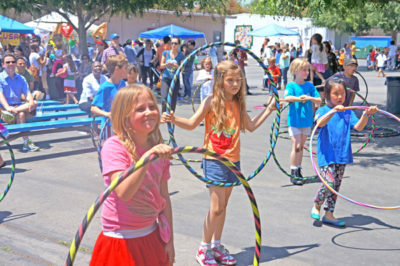 Kelly Breaux of Hoop It Up taught kids and parents how to hula hoop, and “Yoga Bob” demonstrated the downward dog pose. A silent auction featured original artwork created by the students. Proceeds benefit Friends of Third, which supports the school with curricular enrichment and classroom programs. 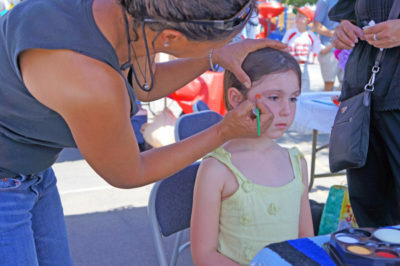 FACEPAINTING was a big hit at the all-day affair which raised funds for booster club Friends of Third. 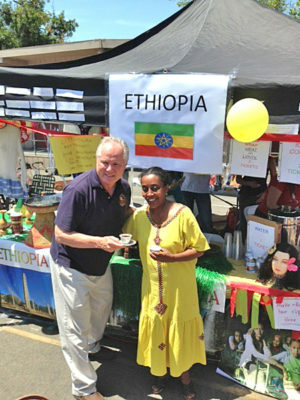 COUNCILMAN Tom LaBonge was treated to an authentic Ethiopian coffee ceremony.